A Guitar Thread Beginning and Ending in Stockholm – Jimi to Stevie Ray to Chris. 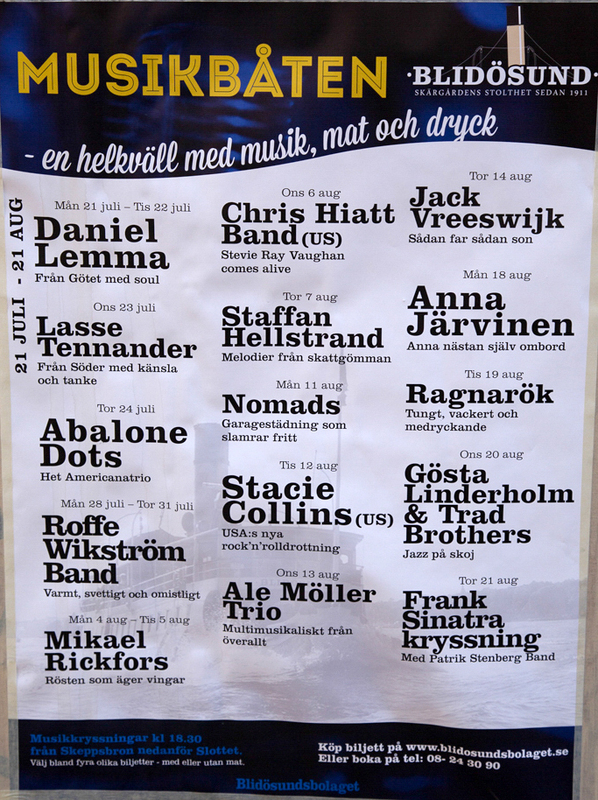 A friend just returned from a trip to Stockholm and sent a photo of this poster featuring upcoming acts for, as best we can tell, a series of boat cruises around Stockholm Harbor. Thanks, Rainer! The first act to catch our eye was “Chris Hiatt Band (US), Stevie Ray Vaughn Comes Alive”. A solid singer and guitarist (check out this video that starts off with a couple of original compositions), Chris usually plays with his band in and around Daytona Beach, Florida. Somewhere along the line his more than faint resemblance to Stevie Ray Vaughn was noticed, as was his ability to throw down a pretty fair imitation of Stevie Ray both as a singer and guitarist. Over the years Hiatt’s tribute concerts to Stevie Ray have become popular in Sweden where he is about to complete his 16th tour. Here is Chris, dressed a la mode, covering Stevie Ray covering Jimi Hendrix’s “Voodoo Chile”. Check out the behind the back playing at 7:30. As good as Chris is, certainly check out the real McCoy in an amazing Austin City Limits performance (and if you want to see Stevie Ray play behind his back, watch this video beginning at about 3:20). Here’s an interesting coincidence: the YouTube video with the most views of Jimi himself playing Voodoo Chile is from a 1969 concert in … Stockholm! Not only is Seattle home to the 2014 Super Bowl champion Seahawks, but it’s also home to one of the most prolific music scenes in the U.S. 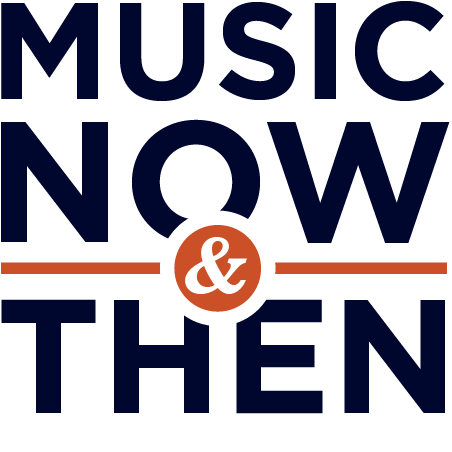 The list of Seattle musicians spans many genres and many eras, and an interesting music / Super Bowl connection is that the owner of the Seahawks, Microsoft co-founder Paul Allen, also financed Seattle’s EMP Museum originally known as Experience Music Project. Bing Crosby was born in Tacoma, Washington in 1923, and Quincy Jones moved to Seattle as a young boy in the 1940s. But perhaps Seattle is most identified with Jimi Hendrix. Here is a mash-up video of Jimi’s best charting single, his cover of Bob Dylan’s “All Along the Watchtower”. Hendrix is a tough act to follow, but Seattle also gave birth to Grunge, and Kurt Cobain of Nirvana was born not far away in Aberdeen, Washington. Nirvana was chosen for the 2014 class of the Rock and Roll Hall of Fame in their first year of eligibility, and this is the song that began an era. A Seattle oddity of the 1990’s was The Presidents of the United States of America. Their biggest hit was “Peaches”, but it’s hard to beat “Lump” for a great hook. After watching the original, check out Weird Al’s “Gump”. A current Seattle favorite, and feature of an earlier blog post, is blue-eyed soul singer Allen Stone, but at the recent Grammy Awards a big winner was rapper Macklemore. Pardon the language in this video, but nearly a half-billion people have viewed the unpretentious sense of humor of this new phenom.